First, you’ll want to flip the kill switch for the fixture at the breaker box to ensure the wires are safe to touch. 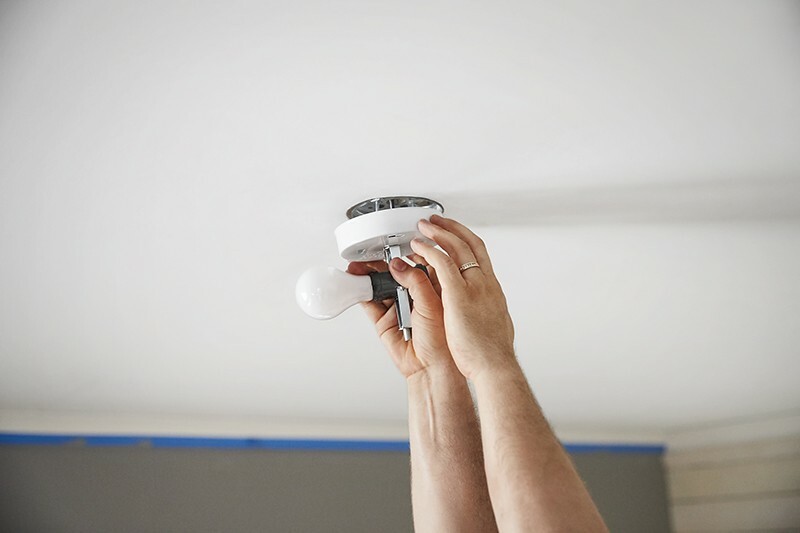 With the electricity off, remove the old light fixture by backing out the screws on the canopy cover. Gently pull cover away to reveal connected wiring. Untwist the plastic wire nuts to release the wires. If working with a large or heavy fixture this is a two-person job. NOTE: Confirm the electricity is off with a circuit tester, it only costs a couple of bucks. Just touch it to the white and black wires to check that the electricity is indeed off. 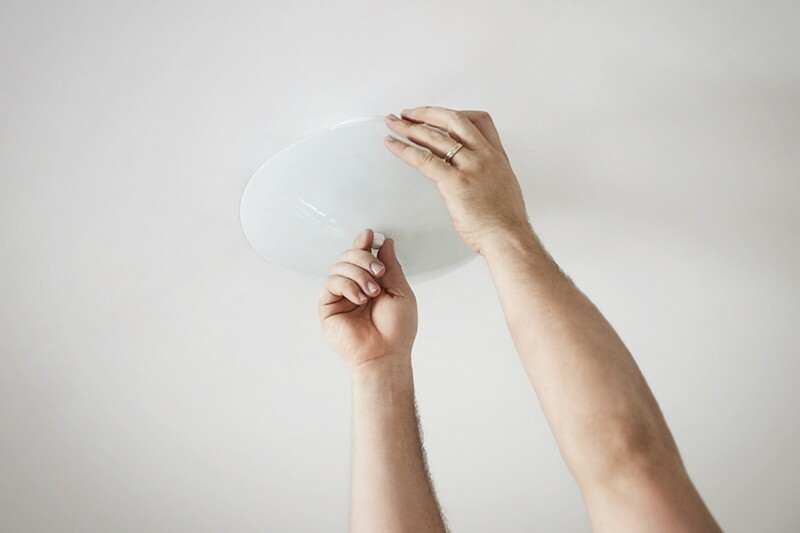 If so, disconnect the grounding wire from the grounding nut, then unscrew and remove the old mounting bar and remove the old fixture. Unbox the new fixture, unwrap everything and organize its pieces and parts. Once you’ve determined that the electrical box can safely support the weight of the new fixture,* screw the threaded mounting stem into the new mounting bar, then adjust the chain and wiring to the desired height, using pliers as needed. *NOTE: Any fixture weighing more than 50 lbs. will require extra support. 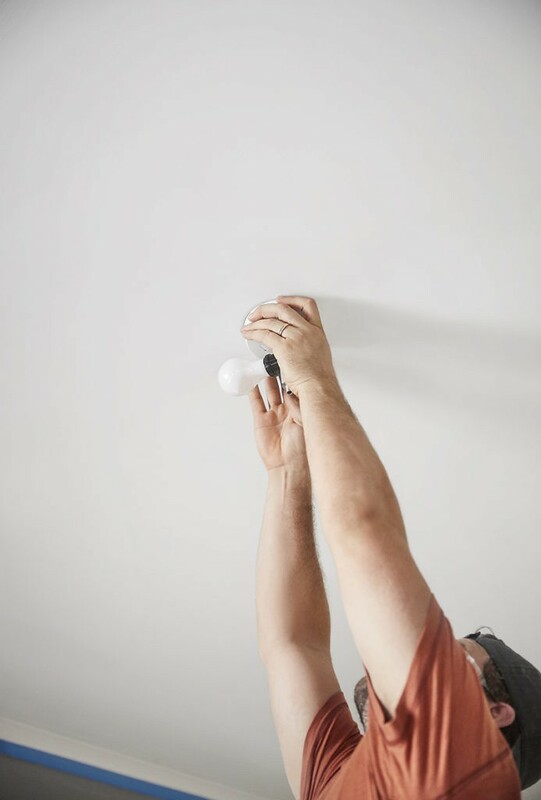 This means the electrical box must be firmly secured to a ceiling joist or wood bracing, or you will need to install an adjustable support bracket (commonly used with ceiling fans). To connect the wiring, run it through the mounting stem and canopy. Use wire strippers to expose ¾-in. of wire. Then, connect white to white and black to black with the wire nuts supplied. Next, connect the copper ground wire to the grounding nut. NOTE: Always reference your specific fixture’s installation instructions. 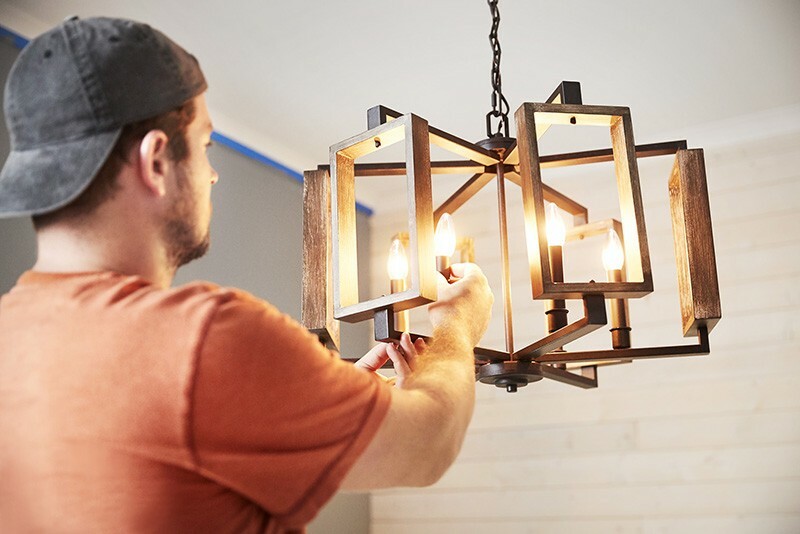 The post How to Update a Bedroom Light Fixture appeared first on The Home Depot Blog.